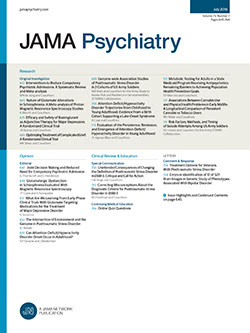 • To determine how a cohort of patients admitted to a mental health center in a single month used the center's clinical services over a year's time, an index of service utilization for each patient was developed. The weighted score took account of days of inpatient and day hospital care and minutes of outpatient time consumed. It was found that 15% of the cohort (48 patients of 330 admitted) used 70% of the total clinical services delivered to the cohort. Analyses of the data on patient characteristics as related to the index or score included the x2 test and multiple regression analysis. Not a single sociodemographic variable predicted high utilization of services. Only such clinical characteristics as severity of psychopathology as reflected in patients' diagnoses, suicidal behavior, and a history of prior inpatient treatment contributed to the prediction. The largest group of entrants had relatively brief encounters with the center, and the bulk of the services were actually delivered to a small, severely disturbed minority.